Satellite photography has allowed us to create a much more accurate map of the village than was possible in the two previous magazines, which relied upon my hazy (and often mistaken) memory. 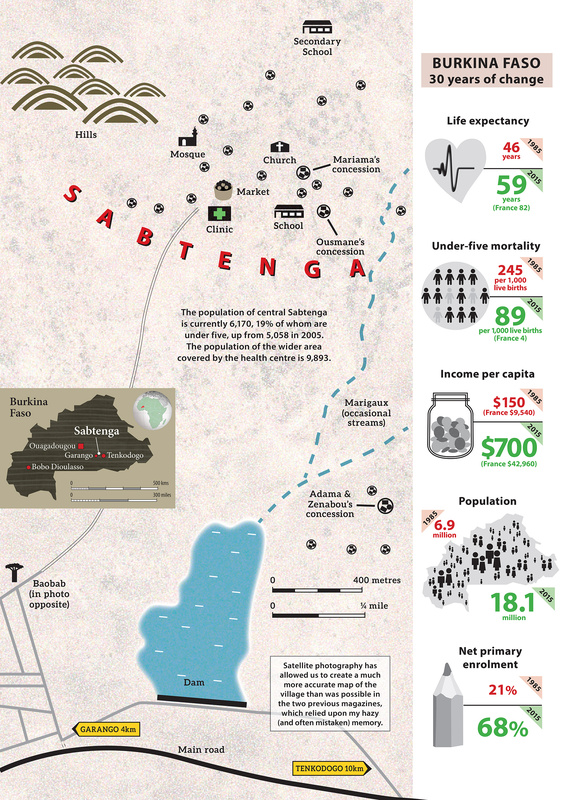 The population of central Sabtenga is currently 6,170, 19% of whom are under five, up from 5,058 in 2005. The population of the wider area covered by the health centre is 9,893.